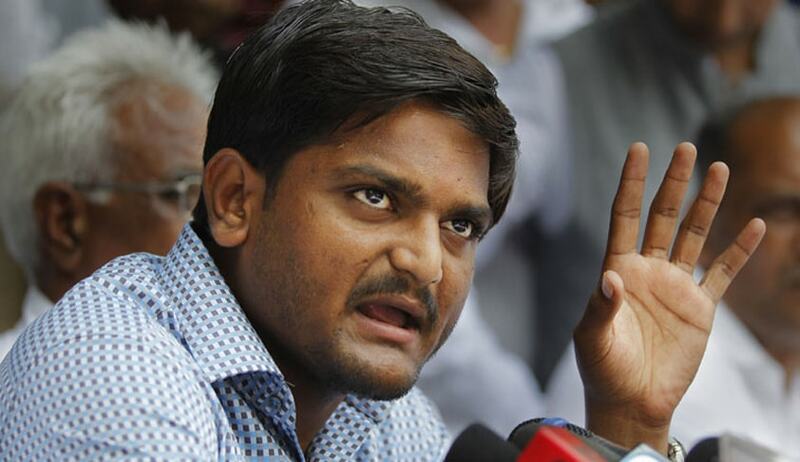 Gujarat High Court Yesterday quashed the First Information Report against Patidar Anamat Andolan Samiti (PAAS) convener Hardik Patel so far as it relates the offences under Section 153A, 505(2) and 506. The Court also directed the police to proceed with the investigation on allegation of Sedition [S.124A] since a prima facie Case is made out against him. He rejected the contention that the advice alleged to have been given by Patel was to kill 4 to 5 police officers had nothing to do so far as the Government is concerned. Court also rejected the contention that that a police force at best could be termed as one of the agencies of the State Government, and any attack of any nature on the police force would not amount to subverting the Government established by law. “although it could be said that the members of the Patidar Patel community have been provoked, but such provocation has nothing to do with any other religion, race or linguistic or regional group or community. The police force of the State cannot be brought within the purview of the term "community".